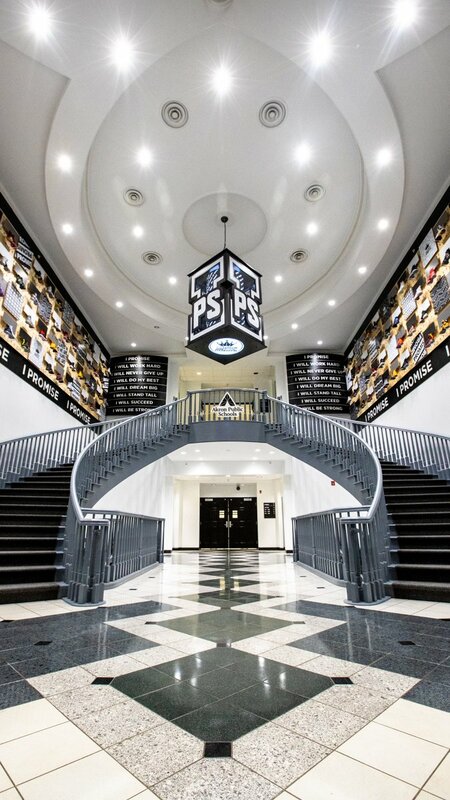 The I Promise School in Akron, Ohio's signature staircase. Credit: Lebron James Family Foundation via Twitter. NBA superstar LeBron James just unveiled his I Promise school in Akron, Ohio. The building will serve as a year-round learning center for many at-risk young people living in the area. The school will be one of the first of its kind — offering free tuition, free school uniforms, free bikes, and even guaranteed tuition to the University of Akron for every student that graduates. On top of all that, the I Promise school will provide a stipend for teachers to pay for materials needed in the classroom. You’d think every school already does that, but that hasn’t been true for some time. Teachers across the country often pay for class materials themselves, without hope of getting that cash back. Many teachers in public schools don’t have the income or ability to provide things like school supplies to every student, let alone a bicycle. With school coming right around the corner, teachers are gearing up and prepping their classrooms for their new students. Statistics show 94% of teachers have used their own money to provide school supplies. Some school teachers ask for donations from the students, and sometimes that is the only reimbursement teachers get. But that puts a burden on the students. In some cases it’s not a request from teachers, but a requirement of the school. Several new initiatives have popped up to get more teachers equipped and ready for the new school year. Last month Target had a coupon for 15% off select school supplies for teachers. At this time of year it’s possible to see online fundraisers for individual classrooms, with the website DonorsChoose.org serving as a popular crowdfunding site — think GoFundMe, but solely for teachers. On this website, teachers explain their situation to the world, hoping that members of their community and strangers alike will help fund them. While it’s still summer break for many students, teachers across the country are going out right now and buying materials for their classrooms. Anything to make their students’ learning experiences better. There is a tremendous lack of funding for education in our country right now. And with one famous basketball player who didn’t even go to college managing to create a school that’s better than most of the schools in America, people are speaking out, wondering why the U.S. isn’t doing a better job of providing for kids’ education than a basketball star.